Although the Smokehouse Little Chief can be purchased for around $100, the features and options you get are exactly what you are paying for. With only a maximum temperature of 165 degrees Fahrenheit (Only setting allowed) you won’t be able to completely cook any meats having to finish your meals on a grill or in your oven. 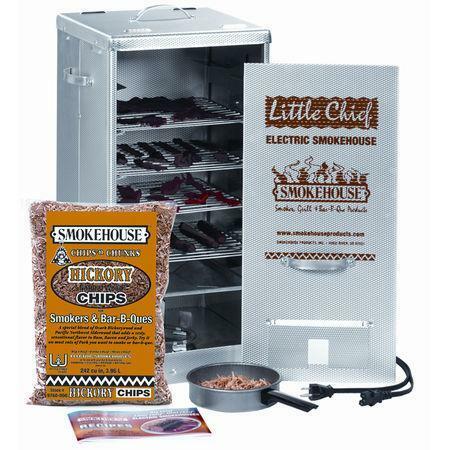 The Smokehouse Little Chief is not insulated and is made of thin metal which does not keep the internal temperature consistent, especially in cooler climates. If you are looking for cheap solution to just add that smoky flavor to your meats before finishing the cook in an oven then this electric smoker is for you. Otherwise we would suggest you explore other affordable options. 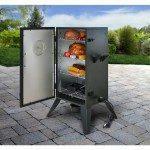 The Smokehouse Little Chief is limited in it's options and cooking temperatures. With a maximum temperature of 165 degrees Fahrenheit this device will only smoke meats such as brisket. You would have to take the meats and cook them in your oven to finish your meats. 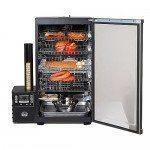 We just spending another $100-$200 and getting a smoker with more options and full cooking potential. 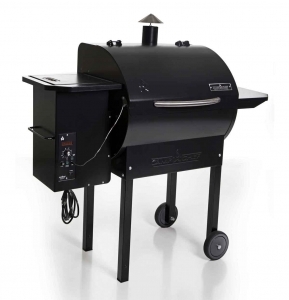 The Smokehouse Little Chief smokers are electric and plug into any standard 3-prong 110-120 AC outlet. The Little Chief heating element will only heat the smoking chamber to approximately 165 degrees Fahrenheit so your meat selections are limited for a full cook.